If you know anything about the Hyundai brand, then you probably know it’s big on infusing its vehicles with lots of value. For remarkably affordable prices, Hyundai manages to pack in tons of standard features and equipment that would be at home in much costlier vehicles. That’s what makes Hyundai vehicles such a smart buy. It’s good to have that knowledge when you’re shopping for a crossover in particular. This jam-packed automotive segment can be challenging to navigate, with so many options and so many different manufacturers jostling for your attention. When you know Hyundai’s reputation for making high-quality vehicles that are positively bursting with exceptional value, it’s only reasonable that you would focus your attention on the Tucson. This compact crossover is a prime example of Hyundai’s smart engineering and bang-for-your-buck approach. It’s sporty, stylish, and fun to drive, and it has tons of cutting-edge tech features to please everyone inside. Add to that a comfortable cabin and a host of smart safety equipment, and you’ve got a standout in an automotive segment that makes it hard to stand out. We can only say so much to convince you that the Hyundai Tucson is worth a closer look. Seeing it in person and taking it for a test drive? That’s a must. It’s all you’ll need to finish making up your mind that the Tucson is the right crossover for you. You can see the Tucson in action when you visit Sycamore Hyundai. Our dealership near DeKalb, IL, is fully stocked with all the new Hyundai models you love, plus a great inventory of high-quality pre-owned vehicles. Stop by at your earliest convenience to experience the Tucson and hear about the irresistible special offers we have going. You’ll wish you’d found us sooner – but you don’t have to wait another day! What’s New in the 2019 Hyundai Tucson? The latest version of the Hyundai Tucson sports some eye-catching new design updates on the exterior that lend it an extra boost of sporty appeal. On the inside, newly standard features join the mix for an even better value than previous models. These include forward collision warning, automatic emergency braking, Apple CarPlay, Android Auto, and a 7-inch touchscreen infotainment system. Another change can’t be seen, but it can certainly be felt: It’s a power boost from the newly standard 2.4L 4-cylinder engine that’s equipped on Tucson SEL, Sport, Limited, and Ultimate trims. No matter which version of this remarkable, value-loaded compact crossover you end up choosing, you’re going to get a lot for a little. Maximize every dollar when you shop the special offers and incentives at Sycamore Hyundai. We can’t wait to help you find your Tucson! The Hyundai Tucson debuted in 2005 as a smaller, sportier, and lower-priced counterpart to the three-row Santa Fe. The following year saw the addition of the Limited trim, the top-tier model that added amenities like leather seating and other luxurious touches. The 2010 model year kicked off the Tucson’s second generation. This model shaved off some body weight and resulted in improved fuel efficiency. In the years that followed, the Tucson added to its ever-growing list of safety and technology features. With the introduction of the third generation in 2016, the Tucson has since continued to evolve and improve with every new model year. In a segment that is showing no signs of losing steam, the Tucson continues to hold its own and appeal to smart crossover shoppers who are looking to get the most for their money. A fantastic selection, low prices, and unbeatable customer service are what brings so many Illinois car shoppers our way when they’re looking for a great deal on a new or used vehicle. 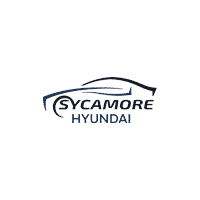 Sycamore Hyundai is conveniently located for shoppers in and around Rockford, DeKalb, and Aurora, so stop by at your convenience and see what we have in stock. Whether you’re already sold on the Hyundai Tucson or are still exploring your options, we’d love to help you find exactly what you’re looking for. Visit us today and let’s get started!